@Absinthequ thanks for detailed request. Note that this is not a "bug" in Poweramp v3 - it was intended to show artist everywhere and album artist in appropriate category. (Actually there is a related bug in build 70x alphas (while it displays album artist tag, it won't properly sort by it, or add to queue/playlists with proper sorting, etc.)). I extended Album Artist Label option to Albums as well, including sorting "by artist" everywhere - this is in the next build 815 (PM me if you want to test it a bit earlier). Albums are listed according to the tag 'Album Artist' and if it is empty, albums are listed in the 'Unknown artist' item. Fix: If the tag 'Album Artist' is empty for a normal artist album, the tag 'Artist' is used for the Album Artist. Albums are listed according to the tag 'Album', where a compilation album is shown multiple times for each 'Artist' tag in the album. Fix: If the 'Album Artist' is specified, ignore the 'Artist' tag and label it as 'Various' or blank, to have a compilation album only listed once. If list is sorted by artist, artist name is still the second line. To display the artist, the 'Title' tag is set to Title/Artist, which is a problem in the Artist list. Hopping someday we can make our own lists. My own feeling on this issue (for what it's worth) is that the regular Track Artist tag should be used everywhere within PA where the track title is also displayed, and PA should never use the Album Artist tag within song lists. The Album Artist tag should only be used for grouping purposes in Album Artist mode (and if it is missing for any songs, PA should automatically fall back to using the Track Artist tag for such songs, rather than creating an Unknown Album Artist group). Album Artist text (again, if it is present) should however be displayed at the albums grouping level, with the Album Title. Thus for example, "Various Artists" (if present) would always be shown beside the album artwork and album title, but not shown anywhere where song titles are displayed (as each song is not by various artists, it is by the listed track artist). I can't think of any situations where the above simple rules (with the fallback option for missing Album Artist tags) would not be ideal. My own feeling on this issue (for what it's worth) is that the regular Track Artist tag should be used everywhere within PA where the track title is also displayed, and PA should never use the Album Artist tag within song lists﻿. The Album Artist tag should only be used for grouping purposes in Album Artist mode﻿ (and if it is missing for any songs﻿, PA should automatically fall back to using the Track Artist tag for such songs, r﻿ather than creating﻿ an Unknown Album﻿ Artist gro﻿up﻿)﻿. Album Artist text (again, if it is present) should however be displayed at the albums groupi﻿ng level, with ﻿the Album Titl﻿e. Thus for exampl﻿﻿e, "Various Artists" (if ﻿present)﻿ would﻿ always be shown b﻿eside the alb﻿﻿﻿um ﻿artwork﻿ an﻿d albu﻿m ti﻿tle, but not sho﻿wn anywhere where song titles are displayed (as each ﻿song is not by var﻿ious artists, it is by the listed track a﻿rtist). I can't think of any situations where the above simple rules (with the fallback option for missing Album Artist tag﻿s) would not be ideal. I think most of us agree Album Artist tag should be there for albums. I might be one of the only ones who likes the option for songs as well. So maybe it should become a standard for albums and stays like it is as an option for songs. How do I return to previous version? In this new version last.fm scrobbling doesn't work anymore as it was. More details: it will only scrobble (if it decides to scrobble at all) first song selected, next track or changing tracks manually won't scrobble. Previous version was working perfect that's why I bought this app. Update: I found very old 2.0.10-build-588 version which I still have installed on my Samsung Galaxy S4 and it works perfectly fine. Installed it on OnePlus5 now and scrobbling works as it should. Auto-updates are now switched off. (814) When in Library -> Albums would it be possible to add an option to list by Album Artist? The way it is now with only the ability to list Albums by (Track) Artist compilation albums appear to be listed by the (Track) Artist of the last song in the Album. With an option to sort the Album list by Album Artist all my compilation albums would be together under "Various" as that's what I have specified for Album Artist for my compilation Albums. Sorry, accidently posted in the 812 thread first. Just download and install it from the Downloads tab above. v2 will remain available for legacy devices indefinitely - although obviously there will be no further development or features added to it. Don't forget to turn Auto Updates off for Poweramp in the Google Play store too, otherwise it will just update you again. @kobayashi_reiko v3 scrobbling tested and works fine with last.fm and simple last.fm scrobblers. If you have issue with these, please be more specific regarding your issue (e.g. 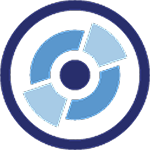 scrollber app used). If v2 works for you this may be something regarding modern Android security tightening around intent APIs and you need to update your scrobbler app. @w3wilkes there is no point in such sorting (due to intermixed artists with album artists tags not giving the sorting results you expect to see for such sorting). But the updated Album Artist Label option in the next build 815 also makes "by artist" option to sort by "album artist" - when such tag "exists" for an album (in quotes as there are no albums physically on storage, just tracks with tag, tracks grouped by some logic). I have been using scrobbling on v3 and the one tested it, and works fine for me, but I do not have multiple devices to test it on. So I was assuming since it worked for my s7 edge Oreo, that it should work for others. Oh well, guess some devices might still not be working all the way with scrobbling. No clue. Do not know what to say besides it works fine here. TPE1 - The 'Lead artist(s)/Lead performer(s)/Soloist(s)/Performing group' is used for the main artist(s). They are seperated with the "/" character. TPE2 - The 'Band/Orchestra/Accompaniment' frame is used for additional information about the performers in the recording. TPE1 is usually used for album artist and TPE2 is used for track artist. If I look at the tags in my collection most of the tracks has an empty TPE2, TPE2 is only set for compilation albums where TPE1="Various Artists" and TPE="track artist". @maxmp how about just performing some simple "magic" at the time of the import of the tracks into the DB? If TPE2 is empty, then just set it to the value of TPE1? End result is that all tracks would have a track artist assigned and then the normal logic could be used within Poweramp. Doing it this way would mean that you wouldn't have to tuch the code for any sorting functions, just fix the data at the time of import. Maybe make this optional by adding a setting for "Set track perfomer on scan" yes/no in the settings. NOTE: It's more than likely that I have mixed up which should be used for track and which should be used for album artist!!! sometimes the track appear on the cached songs when i just open PA without listening to it. my simplelastfm scrobbler has the "when to scrobble" option marked as "when i hit the scrobble now" button. i tested with Poweramp configured to scrobble with the simplelastfm app, and the problem persists. so i thought about not marking PA on the scrobbler app and leave the option on the PA marked, but i don't get any tracks on the cached and they don't scrobble at all. I do not know what you did with Powerampp but it was really surprising!!! Thanks! My tablet is alive again! 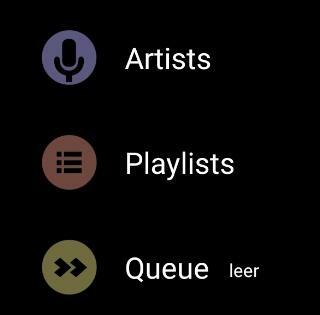 All this talk of grouping and sorting with artist tag vs album artist tag made me think of an awesome Feature that would solve some of these grouping and sorting preferences and would probably be a unique feature to Poweramp. An "Artist Group" Category. A category created and managed in Poweramp where you could group together multiple artists to one "Artist Group". Like a playlist of artists. So for example I could group together Artists: Linkin Park, Dead By Sunrise, Chester Bennington, Fort Minor, and Mike Shinoda all into one "Artist Group" and choose the name: Linkin Park. So if you choose this group you could then see all the different albums by these Artists listed together with whatever sorting options Poweramp normally uses: by year, artist, album name, all songs, etc. It would be like creating a discography right on your device in Poweramp without having to go through all the different Artists to get to each album and would be more advanced than a playlist and Folders category because you have all the sorting options. Only that it wouldn't reside in the music itself but in PA. So you could customize it without having to alter the tags. I guess I left part of that idea out. I really want to be able to go into the category and ALL Artists are listed there so you could combine multiple Artists into one or not. Like you could hold down on the Artist names and check each one and choose combine. So you have a smaller list of ALL artists and it will bring the 1400+ artists I have down to a smaller list and easier to navigate. Adding all 1400+ artists to genre tag or only select artists in the Genre is really going to cause a lot of disorganization as I have nearly 70+ genres already and I probably have nearly 100 "Artist Groups" I would like to have. Genre would eventually be overtaken by the fake "Artist Group" tags and then eventually I kind of lose my Genre category. @maxmpI'm having an issue with Google Assistant and V3 that wasn't present in V2. If I say 'Ok Google, play Radiohead in Poweramp' Poweramp starts up and plays immediately (this is how V2 responded). If I say 'Ok google, play music in Poweramp' Poweramp will open and will not start playing. In V2, Poweramp would start playing music from the last place Poweramp was used (I.E. if all music is shuffled, it would continue playing the next song). Running on a Pixel 3, Android Pie. For cold weather climates, this is a lifesaver in the car. With a family, I don't want my music coming up the second we connect to bluetooth so the voice command was a great way to get music when I wanted, and avoid when not wanted without having to get the gloves off, dig the phone out of the coat and hit play with it's 5 F.
Any way we can get this functionality back or is it there and I'm just overlooking a setting? I made the playlist on Poweramp. I have not used another program. Poweramp saved the playlist. 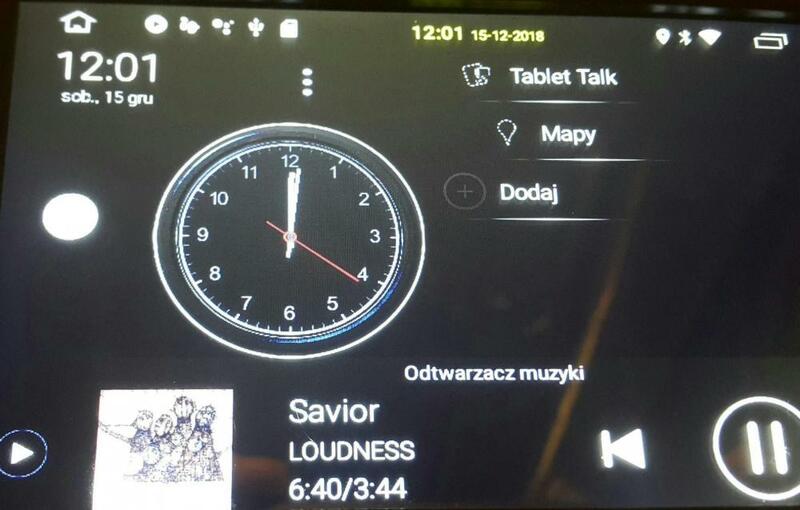 Now Poweramp shows only the playlist name (but it is empty). @Fabricio very strange, as you create playlists in Poweramp, it has recognised the tracks. Do your tracks have non ascii characters? Are they .mp3 files..? By the way no need to apologise for your english, we all understand perfectly well. Looks great. It seems like you disabled the ability to use playlists, because they can't start playing. There are no working buttons that let a playlist play. There is a shuffle and a play button, but neither of these launch the playlist. 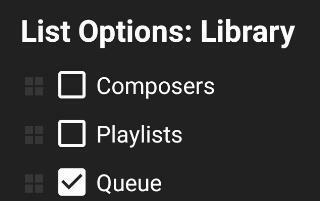 Go to playlists, tap once to go into the playlist. It lists all the songs. You have the name of the playlist superimposed on the album art, then the shuffle / play / select buttons. Shuffle and play do not shuffle or play, and select lets you pick songs for editing. No error messages are present. This means if you have, say, a running playlist, you can't play your running songs, which is why I'm sitting at my computer instead of outside running.